The best, safest, nicest and coolish experience in this area. The nightlife is some of the things offered by this part of the city. 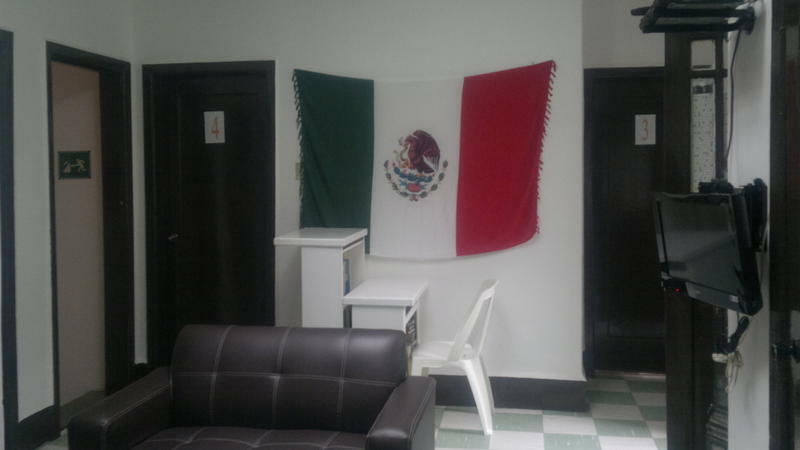 The Hostel is located at Col. Juarez, better known as the 'Zona Rosa' a commercial and tourist area, 20 steps away from the metro station 'Sevilla'. Within a 5 minutes walking distance you will find restaurants, bars, shopping areas, handcraft markets, and more. You will also find within a 5 minutes walking distance the Anthropological museum, castle and park of Chapultepec. We are 10 min. away from the downtown area. it's a VERY SAFE AREA all day long and the hostel is open 24 hours. There is no curfew! 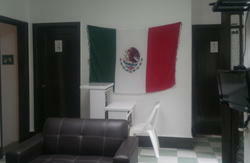 The hostel is found in a secure and pleasant area of Mexico City. This means guests can enjoy a tranquil environment and relax. Guests can also enjoy generous hospitality, and personalized attention. Hostel Casa Vieja has capacity to harbour 16 guests. It offers services to guests such as internet access, continental breakfast, laundry, kitchen, cable TV and more. The terrace on the roof provide a great place for interaction with other travelers. We offer everything that you need to enjoy your stay in the city of Mexico. Here at this hostel we want you to have a pleasant and memorable stay, so come and stay with us. Dirty clothes let us wash for you. Give us the opportunity to serve you and you may win! We are only 20 steps from metro station 'Sevilla' Line 1, by the exit that says 'Av. Chapultepec Nte.' On Avenue Chapultepec. If you arrive to the City of Mexico by the International Airport or some of the four terminals of buses, the surest thing to arrive at hostel is to use a Taxi Authorized. The tickets of Taxi Authorized, have an approximate cost of $150 mexican pesos, are bought in the interior of the International Airport or of the terminals of buses and only you should indicate of the taxi the residence of The Hostel Casa Vieja. Although this option is the surest and comfortable one, is not the most economic one, for which we suggest you that you consider to use the metro, this is the economic and practical, most efficient alternative, it has a cost of alone $3 mexican pesos. If you take the metro in the terminal de Autobuses de Oriente in the station 'San Lazaro' with direction 'Observatorio' you descend in the station 'Sevilla' and search of the metro by where says 'Av. Chapultepec Nte.' The Hostel Casa Vieja is found to a block. If you take the metro in the exit of the terminal de Autobuses del Sur in the station 'Taxqueña' with direction 'Cuatro Caminos' you descend in the station 'Pino Suarez' and change to the line 1 with direction 'Observatorio' You descend in the station 'Sevilla' and search of the metro by where says 'Av. Chapultepec Nte.' The Hostel Casa Vieja is found to a block. If you take the metro in the exit of the terminal de Autobuses Poniente in the station 'Observatorio' with direction 'Pantitlán' you descend in the station 'Sevilla' Uses the stairs how if went to change of sense and search of the metro by where says 'Av. Chapultepec Nte.' The Hostel Casa Vieja is found to a block.